The Nationalökonomische Gesellschaft (NOeG) was founded in June 1918 by a group of young scholars, mostly based in Vienna, as a forum for theoretical debate. Despite the prominent economists involved (e.g. Schumpeter, Mises, Mayer, Spann, Amonn) its activities soon petered out. The relaunch of the NOeG in 1927 originated from the necessity of the two strands of the Austrian school, led by Mayer and Mises, to find some tolerable arrangement; Spann and economists outside the University of Vienna were excluded. Around 1930 the NOeG and Vienna in general proved an attraction for many well-known economists from abroad, and many of the papers presented were printed and cited in first-rate journals. Yet with the emigration of many Austrian economists during the 1930s the NOeG mirrored the general decline of academic economics in Austria and the number and quality of the papers presented decreased. After the Anschluss 1938 the NOeG and its president Mayer were quick in dismissing its Jewish members and in the following adhered to a strategy of inconspicuous adaptation; its formal existence did not lead to any substantial activities. The post-war period was characterized by the restoration of the situation before 1938, with Mayer’s continued presence at the university as well as at the NOeG a case in point. In the end, it led Austrian academic economics into a state of international isolation and “provincialization” much lamented by the émigré economists of the Austrian school. In its first decades the NOeG witnessed a series of dramatic changes in Austria’s political system: Founded on the eve of the Monarchy’s demise, its prosperity co-existed with the final years of the First Republic until 1933/34, and its decay with the period of the authoritarian regime of the corporate state. After the Anschluss, the union with Hitler Germany, in 1938 it coped—disgracefully—with the exigengies of the Nazi regime, and it was eventually reconstructed as part of the postwar restoration after 1945. All these events, in a sense, left an imprint on the association’s activities. Most of the board members belonged to the younger generation and were to some extent affiliated with what had become to be known as the “Austrian School of Economics”. This is noteworthy insofar as German-language economics in the interwar period has been characterized as lacking a dominant paradigm (see e.g. Köster 2011). Rather, the economists teaching at the universities propagated a variety of approaches, ranging from adherence to the remnants of the German Historical School or mere eclecticism to the propagation of “autochthonous messages” (Schumpeter 1954, 1154). (Spann may be mentioned as a typical example of the latter.) This diagnosis certainly applied to the Austrian economics community, too. In particular, in the postwar period outside Vienna, at the Universities of Graz and Innsbruck, the Austrian School played only a limited role. The Austrian School as a distinct theoretical approach to economic and social phenomena derived from Carl Menger’s Grundsätze der Volkswirtschaftslehre (1871). Its main pillars consisted in a subjectivist theory of value and the explanation of social institutions as the (unintended) result of individual action. However, the school’s success was as much based on Menger’s foundation as on its development by Friedrich von Wieser and Eugen von Böhm-Bawerk, its second generation. While Wieser integrated Menger’s approach into a general analytical framework, Böhm-Bawerk developed a theory of capital based on the notion of time-consuming production. Menger had taught at the Faculty of Law of the University of Vienna until his early retirement in 1903. Wieser had been appointed to a chair in Prague before he moved to Vienna to fill Menger’s vacancy. Böhm-Bawerk after teaching for some time in Innsbruck served as Minister of Finance in various Austrian cabinets and eventually was appointed professor of economics at Vienna, where he taught and led the famous “serminar” until his death in 1914. Another important figure teaching in Vienna was Eugen von Philippovich, who combined the Austrian approach in economic theory with policy views more in line with the German “socialists of the chair”; he deceased in 1917. When, in the same year, Wieser left the university for the position of Minister of Trade in the last cabinets of the Monarchy, the only professor to represent economics at the faculty was the Austromarxist and economic historian Carl Grünberg. Thus a change of the guard appeared to be imminent. It fits this picture that the members of the Austrian School active in the NOeG all belonged to its third generation. (Moritz Dub, an economic journalist at the Neue Freie Presse, and Victor Grätz were the sole members of the NOeG board from outside academia.) The most prominent was certainly Joseph Schumpeter. At the time, he occupied an economics chair at the University of Graz and was the author of two books that had provoked his colleagues: In his habilitation thesis Schumpeter (1908) argued for a positivist methodological foundation of economics instead of introspection. And in his path-breaking theory of economic development (Schumpeter 1911), by introducing the notion of entrepreneurial innovation as the engine of progress, he attempted to shift the focus of economic analysis from statics to dynamics. In this sense, Schumpeter from the very outset was something like an outsider to the Austrian School. In 1918 he was busy in political activities in Vienna, and after the demise of the Monarchy became for a short period Secretary (that is, Minister) of Finance in the First Republic. Hans Mayer studied in Vienna under the supervision from Wieser. He concentrated in his research on special problems of Austrian value theory, e.g. on imputation and on the substantive laws of marginal utility. He planned to apply for a venia legendi4 in Vienna, but accepted a call at a chair in Fribourg, before he had finished his thesis—in effect he never finished it. In 1914 he was appointed professor at the Technische Hochschule in Prague. Like his colleagues, Spann, Amonn and Mises, he was transferred during the war to Vienna to serve at the Scientific Committee for the War Economy at the Ministry of War (see Pinwinkler 2003, 84–89). Soon after the war, when Schumpeter had left academia for the banking business, he succeeded him in Graz. Of the remaining members Ludwig von Mises’s main occupation at the time was that of a secretary of the Vienna Chamber of Commerce; Karl Pribram and Viktor Grätz also had been associated with the Chamber for some time. Pribram and Mises held the positions of Privatdozent at the University of Vienna. In particular, in his thesis Mises (1912) applied the Austrian approach to the problems of money and thus laid the basis for “Austrian business cycle theory”, later on developed by Friedrich Hayek and others. Moreover, Mises—in contrast to Wieser—represented the liberal wing of the Austrian School and propagated this view from his position in the Chamber. Amonn and Spann were teaching at outposts of the Monarchy. Amonn, after his habilitation in Vienna on a subject in the methodology of economics, had taught like Mayer in Fribourg and then succeeded Schumpeter in Czernowitz. Spann had studied in Vienna, done work in empirical sociology in Frankfurt, and then taught at the Technische Hochschule in Brno (Brünn) where he succeeded his teacher Friedrich Gottl-Ottlilieneld. Originally both, Amonn and Spann, regarded themselves as critics within the wider ambit of the Austrian School. However, Spann increasingly fell under the spell of the 19th century economic romantic Adam Müller, and started to put forward his own program of “universalism” in opposition to the Austrians’ “individualism”. In the course of the 1920s this was to become a full-blown, if also obscure system in opposition to the “modernist” views of political and economic liberalism as well as the Marxist idea of class struggle. Spann propagated a corporate state resting on a regulated economy instead of competition, autarky instead of free trade, hierarchy instead of equality, and the rule of the elites instead of the rule of the masses—votes must be weighed, not counted, as Spann maintained. When the NOeG came into existence, Spann was just contemplating the prospect of his move from Brno to Vienna. Amonn, who had to leave Czernowitz after the war, taught for some years at the German University of Prague. Eventually, in the postwar period, the vacancies at the Vienna faculty were filled: While there was no successor to Böhm, after a short guest performance by Max Weber, in 1919 Spann succeeded Philippovich, Grünberg was raised to a full professorship, and Wieser returned to his chair for five more years. Certainly, the devastations of the war and the calamities of the immediate postwar period must have interfered with the activities of the NOeG in its early years. Only few of them have been documented. For example, we know that in December 1918 transportation problems prevented Schumpeter, still in Graz, from attending a session in Vienna (see Hülsmann 2007, 362n.). On June 27, 1919, the NOeG hosted its president Schumpeter, then Secretary of Finance, at the Vienna Chamber of Commerce for a lecture on the economic conditions of the peace—on this occasion a newspaper reported on the association’s recent informal meetings on issues of research, teaching and policy (Neues Wiener Tagblatt, June 28, 1919, 13f.). In February 1920 the NOeG organised the celebration of Carl Menger’s 80th birthday at the University of Vienna, with Wieser and Richard Schüller the speakers (Wiener Zeitung, Feb 21, 1920). The best known paper presented to the NOeG in this early period must undoubtedly have been Mises’s path-breaking contribution to the problems of socialist calculation in June 1920 (published as Mises 1920); at the session Schumpeter, Amonn and the socialists Max Adler and Helene Bauer were present (see Hülsmann 2007, 373–379). The meetings of the NOeG persisted well into spring 1922, and possibly longer. For that time the datebook of the young Fritz Hayek informs us about his presence at talks, e.g. by Franz Xaver Weiss and Othmar Spann, at the then usual meeting place, the Café Eiles, only a few minutes’ walk from the University and the Vienna City Hall. Then with the onset of the Austrian hyperinflation the association “died out”, possibly as “a question of expense” (Hayek 1983, 44). There may also have been other factors at work, e.g. the absence of most of its founders from Vienna or (in the case of Schumpeter) from academia: Mayer was now in Graz, Pribram left for a position at the International Labor Organization in Geneva, and Amonn taught in Prague. Among those that remained in Vienna, that is, Spann and Mises, rising tensions made collaboration almost impossible. In any case, when Hayek returned from a 14 months trip to New York in June 1924, he found the NOeG completely inactive and it remained so for the next years. In the 1920s Vienna experienced its heyday of scientific circles, both formal academic and informal extramural ones.5 In the social sciences, with its academic center at the Vienna law faculty, the NOeG’s founding members Spann, Mayer, and Mises held their “private seminars” and gathered their pupils in the various circles. Besides already as students Friedrich Hayek and his friend Herbert Fürth were active in their own discussion circle, the “Geistkreis”. Somewhat outside the ambit of the NOeG the Austromarxist groups gathered around Carl Grünberg and Otto Bauer, and adherents to Catholic Social Teaching found a forum for presentations in the social science section of the Leo Gesellschaft, named after Pope Leo XIII. Of course, these economic circles were often “interlocking” (Craver 2012, 161) with others outside the social sciences, e.g. those of the proponent of the Pure Theory of Law Hans Kelsen, the art historian Max Dworak, the Vienna Circle of the philosophers Moritz Schlick and Otto Neurath, or Karl Menger’s (the son) Mathematical Colloquium. In the course of the 1920s the antagonism among the founding members of the NOeG had grown and eventually became the source of enduring bitter hostility. After 1923, all three—Mayer, Mises and Spann—claimed the role of leadership in the Vienna economics community. Mayer was the academic representative of the Austrian school after having succeeded Wieser at the University, where he tried to further his teacher’s approach. Mises self-consciously regarded himself “the economist of the country” (Mises 2013, 50), both due to the impact of his economic policy advice and his contributions to economic theory from a strictly liberal point of view. And finally Spann, the self-professed prophet of a new creed, “universalism”, set about revolutionizing economics and social philosophy. John van Sickle, the representative of the Rockefeller Foundation, aptly characterized these three contenders as “the prima donnas” (Leonard 2010, 79). The conflict between Mayer and Mises resulted not only from Mises’s propensity of linking the teachings of the Austrian school with his philosophy of classical liberalism, which Mayer abhorred, but also—one supposes—from Mises’s resentments due to his having been neglected in the succession of Wieser and from Mayer’s jealousy of the attraction of the Mises seminar. Between Spann and Mayer the relationship had at first been one of benign neglect. Yet, after Wieser’s death in 1925 Spann definitely broke with Mayer and the Austrian school. Soon, the conflict between Mayer and Spann transgressed the limits of scientific controversy and degenerated into a series of personal hostilities that pervaded academic life for more than a decade. The clash manifested itself on various occasions, e.g. the controversial succession of Grünberg that ended with the appointment Ferdinand Degenfeld-Schonburg, the quarrels over the fate of the Viennese Zeitschrift, or the awarding of rights to teach (Habilitationen) to the disciples of the three prima donnas. In the end, Ferdinand Degenfeld-Schonburg was appointed to the former Grünberg chair, whom Hayek in retrospect6 characterized as—apart from his anti-Semitism—“honest, respectable and sensible, but very mediocre”. As regards the Viennese journal, the Zeitschrift für Volkswirtschaft und Sozialpolitik eventually stopped publication and was replaced by the new Zeitschrift für Nationalökonomie. In the course of the relaunch Spann was removed from the editorial board, Mayer became the main editor supported by his co-editors Reisch and Schüller, and the actual work was done by Mayer’s assistants, Paul Rosenstein-Rodan and Oskar Morgenstern. In effect, due to Morgenstern’s careful supervision, the Zeitschrift throughout the 1930s established itself as the leading German-language economics journal (see e.g. Rothschild 2004). In some sense, these tensions spilled over to the respective circles. Spann’s start at the University in 1919 had been stupendous, his lectures on the “true state” (Spann 1921) as an alternative to the miseries of post-war democracy had attracted hosts of enthusiastic students, many of whom entered his private seminar (see Müller 2015b). The seminar provided a forum for his teaching of philosophy and methodology, but also for his criticism of Mayer’s individualism. Among the participants were future Privatdozenten, like e.g. his foremost pupil Walter Heinrich, but also Hayek, Fürth and later on Morgenstern. However, the latter three shared the fate of being expulsed from the seminar for their carping criticism. On this occasion, Hayek and Fürth in 1921 founded an alternative discussion group with their friends and fellow students, ironically nicknamed “Geistkreis” (“circle of the spirit”) for its exclusion of female participants (see Browne 1981; Furth 1989, 248). Certainly the most important of these circles was Mises’s private seminar held in the rooms of the Chamber of Commerce.7 An outgrowth of Mises’s regular university teaching, its core members consisted of graduates from the faculty interested in research and scholarship, although most of them earned their living outside academia. The younger generation of the Austrian school was almost completely represented, e.g. by Hayek, Gottfried Haberler, Fritz Machlup and Morgenstern, and the intermediate generation by Richard Strigl and the bankers and private scholars Karl Schlesinger and Victor Bloch. The broad spectrum of topics dealt with is attested by the contributions of the philosophers and sociologists Felix Kaufmann (who was also a member of the Vienna Circle), Alfred Schütz and Erich Voegelin. Among its female members Martha Stephanie Braun (later Browne) and Ilse Mintz, the wife of Max Mintz and the daughter of Richard Schüller, must be mentioned. Besides Hayek and Fürth the Geistkreis counted among its founding members Walter Fröhlich, Kaufmann, Max Mintz, Schütz, Voegelin and Emanuel Winternitz, later to be followed by Haberler, Machlup and Morgenstern—with the exception of Fürth all of them also participated in the Mises seminar. The subjects for discussion in the Geistkreis went well beyond the social sciences and extended towards art history, literature, and eventually even psychoanalysis. As pointed out above, towards the end of the 1920s the awarding of Privatdozenturen (rights to teach) became a crucial issue in the three-pronged conflict between Mayer, Mises and Spann (see Klausinger 2012). On the one hand, Spann had been immensely successful in furthering his disciples. On the other hand, for candidates affiliated with the Austrian school some limited cooperation between Mayer and Mises was called for in order to overcome Spann’s opposition in the faculty. In the end, Mayer succeeded in promoting Haberler, Morgenstern and Hayek as well as Bayer and Mahr. Still in 1926, Franz X. Weiß, a pupil of Böhm-Bawerk, had been the last scholar of Jewish descent to become Privatdozent at the law faculty. Afterwards, through the backing of the faculty’s majority an informal numerus clausus for Jewish applicants became effective. This destroyed the prospects of an academic career for economists close to the Austrian School like Martha Braun, Rosenstein or Machlup. It must have been this limited cooperation between Mayer and Mises and their respective students that paved the way for the idea of reviving the NOeG. Preparations for a new start had begun in April 1927, when Haberler reported to Morgenstern (letter, Apr 6, 1927, OMP 2) that “Mayer and Mises are going to revive the economics association”. The focus was on providing a forum for discussion for the two strands of Austrian economics represented by Mayer and Mises and their respective followers. At the same time, Spann and his pupils were kept out as were Catholic and Austromarxist groups; Degenfeld-Schonburg was also sidelined and never played a role in the society. The audience at the meetings with members from the Mayer and the Mises circles, and some non-committed senior industrialists and civil servants, might have comprehended about thirty persons (see Hayek 1983, 44f.). In the event, the NOeG was relaunched successfully when on December 16, 1927, a general assembly convened and elected the members of the board. Mayer and Mises became president and vice-president, respectively, Hayek secretary, Machlup treasurer, and Strigl and Rosenstein ordinary members of the board, which was on the whole finely balanced between the two camps. On the very day of the assembly meeting, Mises gave the first talk. In fact, in the next years the most important activity of the NOeG consisted in organizing sessions that provided the opportunity for members and guests to present papers.9 Hans Mayer, and in his absence Mises or due to their seniority Schüller or Reisch, chaired the sessions, which usually took place on Fridays, for some time provisionally at a coffeehouse, then from mid-1928 onwards at the rooms of the Austrian Banking Association. Participation was by invitation only. The program was most probably jointly decided upon by Mayer and Mises, and in addition heavily dependent on the presence of visitors from abroad. When in 1931/32 Mayer lectured as a visiting professor at Kiel, the task of organization fell for that time on Mises alone, while after Mises’s departure it remained solely with Mayer. In the early years, from 1927 into the 1930s, Mises delivered two more talks to the NOeG while, significantly, Mayer never did so over the whole period of his presidency. Overall, at the time the presentations by members were almost completely dominated by scholars close to the strand of the Austrian School affiliated with the Mises circle, and notably all from Vienna: Haberler, Hayek, Kaufmann, Machlup, Karl Menger, Morgenstern, Rosenstein, Schlesinger, and Strigl. The outliers were Mahr, who did not participate in the Mises seminar, and Karl Polanyi, a critic of the Austrian school. Almost a third of the papers were by visitors from abroad, most of them from Germany or from formerly German parts of the Habsburg monarchy: Adolph Löwe (from Kiel), Wilhelm Vleugels (Königsberg), Wilhelm Röpke (just on the move from Graz to Marburg), Siegfried Budge (Frankfurt), Otto Veit (Berlin), the Dutch Johan G. Koopmans, Otto Engländer (German University of Prague), and Adam Heydel (Cracow). At the turn of the 1930s Vienna also attracted many well-known economists from Anglo-Saxon countries, some of whom lectured at the NOeG: Lionel Robbins (London School of Economics, that is, LSE), Edward S. Mason (Harvard), and the Chicago economists Frank H. Knight and Jacob Viner. Again with a few exceptions, most of these foreign visitors represented the liberal tradition in contemporary economic thought. It is noteworthy that in the period of Mayer’s absence Mises in December 1931 invited Charlotte von Reichenau (Gießen) to a talk at the NOeG (see Hülsmann 2007, 613f. ); it is not on the records, yet it would have been the only one by a female. As befitted a learned society, the NOeG also awarded honorary memberships. In its very first year it bestowed this honor on the American economist John Bates Clark, on Richard Reisch, and on the Frankfurt lawyer Henri Oswalt (see Mises 1929). Oswalt was a patron and founding member of the University of Frankfurt and an author of popular introductions to economics in the Austrian spirit (Wörner and Köster 2013). Many of the papers presented dealt with issues on the cutting edge of modern theory, only a few digressed into questions of methodology or economic policy issues of the day. Indeed, some of the published versions of these papers became “classics” and are still well-known even today. To give but a few examples: In December 1927 Karl Menger in a talk on “The role of uncertainty in economics” showed that the introduction of expected utility and diminishing marginal utility is not sufficient for a proper solution of the so-called St. Petersburg paradox (Menger 1934). Hayek presented his famous article on intertemporal equilibrium (Hayek 1928) and a chapter from his LSE lectures on prices and production (Hayek 1931). In 1930 Morgenstern provided a critical survey (in two parts) about the British “cost controversy” on the logical and empirical status of the “laws of returns” (Morgenstern 1931), and Viner (1931) presented the geometrical exposition of long run and short run cost and supply curves as it is still taught—with minor corrections—in present-day micro textbooks (see Gehrke 2019b). Those “years of high theory” at the NOeG gradually gave way to a less stimulating period in the course of the 1930s. When in 1932 Mayer returned from his visiting professorship at Kiel he apparently felt exhausted from eventually finishing—after years of delay and severely testing the patience of the publisher—his chapter for the Wieser Festschrift (Mayer 1932). It was his major contribution on the merits of “functional” versus “causal-genetic analysis”, valuable, but fragmentary, and for more than a decade his last remarkable venture into research. The paralysis that befell Mayer with regard to his own research must have spilled over to his activity as the president of the NOeG. Another factor was (forced) emigration. 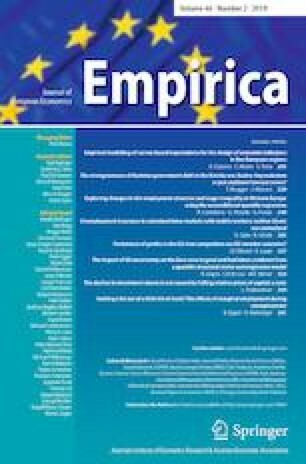 A push factor of emigration consisted in the younger economists’ steadily deteriorating outlook for an academic career. On the one hand, this resulted from the reductions in faculty and staff at the Austrian universities due to decreases in student numbers and the public’s financial distress. On the other hand, minorities like Jews and Socialists were barred from an academic career due to discrimination. In particular, for Jews the effect of this discrimination was equivocal; while it intensified the incentive for emigration, because of the implied lack of a formal qualification (like a venia legendi) it made it also more difficult to find an academic position abroad. In any case, over the next years the most promising of the younger generation of Austrian economists, who had decisively contributed to the vitality of the discussions within the NOeG, left Vienna. Hayek was among the first when he moved to London in 1931 for a chair at LSE. Haberler spent 1931/32 as a visiting professor at Harvard, and after a short interval in Vienna worked two years at the League of Nations in Geneva until he returned to Harvard as a full professor in 1936. Rosenstein had spent a Rockefeller fellowship in Italy before he accepted a lecturer position at University College in London in 1931. Similarly, Machlup did not return from a 2-year Rockefeller fellowship but preferred to stay in the United States, at the University of Buffalo. And, of course, Mises’s decision in 1934 to leave Vienna for a position at the Geneva Institut Universitaire des Hautes Études Internationales was crucial. Mises’s departure marked not only a break in the evolution of the NOeG, it also put an end to the existence of the Mises seminar and its circle. The other circles had also diminished in their importance—the Geistkreis was now under the sole direction of Fürth with Hayek only occasionally present in Vienna, and with Mayer’s general exhaustion the activities of his circle had also petered out. Morgenstern, who stayed in Austria as director of the Institute for Business Cycle Research almost until the Anschluss, tried to establish the Institute as a center for economic and methodological debates, as a substitute for the Mises circle and a rival to Mayer and the NOeG, yet with only moderate success. Thus, eventually the evolution of the NOeG in the 1930s was a mirror of the general decline within the Vienna economics community. On a formal level, emigration left its traces in the composition of the NOeG board. Mayer and Mises kept their position until 1938, yet after some shifting in 1936 Morgenstern became secretary and Bloch treasurer, and there were now seven ordinary members of the board, namely Haberler, Hayek, Machlup, Mahr, Schams, Schlesinger, and Strigl. After 1933, either the number of sessions had declined or their documentation become more fragmentary: There are no notes preserved on any talks in 1934, and from January 1935 to February 1938 just thirteen sessions can be ascertained. In any case, some long-time observers lamented the association’s decay and the increasingly bad temper of Mayer in chairing the sessions. The visitors from abroad were now less prominent than before. This was possibly also due to the changes in the political situation: In the German Reich the coming to power of Hitler and the NSDAP forced many liberal and socialist economists to flee the country. In Austria 1934 marked the endpoint of the transition from the First Republic to the regime of the corporate state, which—possibly—made Austria less attractive for some foreign visitors. Papers were read by the German emigrants Röpke and Fritz Neumark (now in Turkey), Karl Pribram (now an Austrian emigrant in the U.S.), and by Howard S. Ellis of Harvard and Alexander Bilimovic (Ljubljana). There were still two highlights: Hayek in September 1935 presented a predecessor of his famous article on “Economics and knowledge” (Hayek 1937) that drew an extensive comment by the sociologist Alfred Schütz (see Schutz 1996 ). And in December Karl Menger in an exercise in “exact” (axiomatic) theory that somewhat overtaxed the audience investigated the formal properties of the laws of returns (Menger 1936; see also Gehrke 2019b). He was soon to leave for a professorship at Notre Dame, at first at a visiting and then at a regular position. Gerhard Tintner talked about monopoly problems in September 1935, when he was on leave from the Institute for a Rockefeller fellowship; he did not return to Austria either but in 1937 accepted a position at Iowa State University. The only truly domestic contribution to the NOeG talks was from Strigl on the theory of returns. Compared with the liveliness of the discussion during the earlier years, with so many young economists from Vienna participating, this reveals once more the climate of paralysis and decay that pervaded the Viennese economics community already before the Anschluss. On March 12, 1938, German troops invaded Austria, and the next day Austria’s Anschluss with Hitler Germany was proclaimed. This set the signal for the process of Gleichschaltung (enforced coordination) of all public and civil organizations and for the prosecution by the Nazis of “enemies of the movement”, be it for political or “racial” reasons. In consideration of the changed situation in German Austria I am informing you that under the respective laws now applicable also to this state, all non-Aryan members are leaving the NOeG (as reproduced in Mises 2013, 68). As regards the NOeG, in retrospect Mayer (1952, 251–252) justified his decisions by his quest to secure the formal existence of the association. Indeed, the records inform that the bylaws were changed in July 1940 in order to include an “Aryan paragraph” and to conform to the Führer principle. In December 1943 a general assembly confirmed a new composition of the board with Mayer (president), Günther (vice-president), Mahr (secretary), Josef Sznahovich (deputy secretary), Kamitz (treasurer), Wilhelm Weber (deputy treasurer) and Felix Klezl-Norberg (auditor). Mayer was eager to note in the minutes that Günther, Kamitz and his assistant Weber were members of the NSDAP and stated his own political attitude as “national socialist”. Yet, apart from that, there is no evidence of substantial activities of the NOeG during the years of the Nazi rule. After the war and the end of the NS regime, the Vienna faculty of law and its economics chairs provided a shining example of the restoration within academia of the pre-Anschluss situation (and not, as might have been naively expected, that prior to the corporate state regime). According to the policy of “denazification” Günther and Vogel were dismissed, Degenfeld was reinstated, and Spann—in a curious compromise—again became a member of the faculty but was barred from teaching. Naturally, Mayer kept his chair, and for 1946/47 was elected dean of the law faculty. He retired in 1950 and continued to lecture for some more years as honorary professor. The publication of the Zeitschrift had stopped for a few years after 1945. With Hans Mayer still the main editor the first post-war issue came out in 1948, but for the following years the Zeitschrift could not regain its former stature, both in quality and quantity, and contained more special than regular issues. Its 1952 and 1955 volumes included the proceedings of two conferences organised by the International Economic Association, apparently thanks to the support of Helene Lieser, a former member both of the NOeG and the Mises seminar and now at the IEA. On the occasion of Mayer’s 70th and 75th birthday, respectively, two Festschriften were published as issues of the Zeitschrift (see vols 12 (2–4), 1949, and 14 (2–4), 1954). It took until January 1949 for the reconstruction of the NOeG when Mayer eventually responded to an official inquiry if the association still existed. Then the general assembly reinstated the old bylaws and elected a new board. The members of the new board were Mayer (president), Mosing (first vice-president), Mahr (second vice-president), Weber (secretary), Leo Illy (formerly: Schönfeld, treasurer) and the ordinary members Ernst John, Klezl-Norberg, Ernst Lagler and Schams. In the next years the board was enlarged and significantly for the first time included members from outside the University of Vienna, e.g. from Graz, Innsbruck and the Vienna Welthandel. Beyond these formalities due to the lack of financial means the NOeG’s scientific output appears to have been rather meager. As far as this can be surmised from the available evidence, presentations of papers at the NOeG started only in 1954, yet at a still slower pace than before the war. When Mayer died in 1955, the astonishing fact had to be realized that from the interwar years through the war and NS rule to the post-war period he had been the one constant factor within the Vienna economics community: in his position at the faculty, editor of the Zeitschrift, and president of the NOeG. Furthermore, he had been able to secure the succession by his hand-picked favourite Alexander Mahr. In 1951 at the University Mahr succeeded Mayer at the chair that had once been occupied by Carl Menger, and after Mayer’s death Mahr became the main editor of the Zeitschrift and president of the NOeG. Incidentally, at the same time the NOeG eventually merged with its long-time rival, the Gesellschaft österreichischer Volkswirte. Yet, Mayer’s accomplishments in academic politics that safeguarded the short-term survival of his specific strand of the Austrian school stand in strange contrast to the damages afflicted on the Austrian economics community. In particular, Mayer’s apparent collaboration with the Nazi regime, most visible in his actions as a president of the NOeG, had severely tarnished his reputation and left him isolated from such former friends and colleagues like Lionel Robbins of the LSE or most of the Austrian emigré economists. When eventually, in summer 1948, Hayek, Haberler, Machlup and Morgenstern initiated a summer school reunion of the Austrian school at the University of Vienna, this remained a one time-event that Mayer thought ought not to be repeated (see, e.g., the letter from Haberler to Morgenstern, Mar 10, 1949, OMP 80). Indeed, at the time, most of the reports of Austrian emigrants on the situation of academic economics in Austria drew a miserable picture (see e.g. Fleck 2017 on Morgenstern’s visit in 1947), from which only the Wifo, the successor of the Austrian Institute for Business Cycle Research, was excepted. In fact, what happened to the Austrian economics community under the aegis of Mayer and Mahr constitutes a typical example of the general process of “autochthonous provincialization”12 (Fleck 1996) of Austrian universities in the decades after the war. While in Germany academic teaching rapidly adapted to the new mainstream, Austrian economics persisted in a “Sonderweg”, isolated from international developments such as Keynesian macroeconomics or modern microeconomics. Looking at the situation of economics at the University of Vienna in the 1950s, typically Mahr, a faithful pupil of Mayer, resumed his teacher’s futile attacks on modern utility theory and the concept of indifference curves. The contributions of the other chairs—Theodor Pütz, a former disciple of Gottl-Ottlilienfeld and a proponent of a special German-language type of a “theory of economic policy”, the agrarian economist Ernst Lagler, a former assistant of Degenfeld, and Wilhelm Weber, a former assistant of Mayer—were also modest. It might be regarded as emblematic that towards the end of this era the 1966 volume of the Zeitschrift opened with a congratulatory article of Weber (1966) on Mahr’s 70th birthday, while Mahr (1966) reciprocated in the same year with a laudatory piece on the occasion of Weber’s 50th birthday—at the time Weber occupied a chair in public finance at the University of Vienna and had succeeded Mahr, both at the Zeitschrift and at the NoeG. Notably, the investigation of the formation of economic societies in Europe by Augello and Guidi (2001) has no entry on Austria. For a first venture into the early history of the NOeG see Klausinger (2016a). If not noted otherwise, the documents on the NOeG are from Vereinsbehörde, Landespolizeidirektion Wien (“Vereinsakt, Nationalökonomische Gesellschaft”). See in particular Patzauer (1915) and the files preserved at the Wiener Stadt- und Landesarchiv (“Vereinsakt, Gesellschaft österreichischer Volkswirte”). For a general overview of the post-war Vienna economics community see Klausinger (2016b), in particular see Kurz and Sturn (2012) on Schumpeter, Klausinger (2015a) on Mayer, Hülsmann (2007) on Mises, Chaloupek (2019) on Pribram, Gehrke (2019a) on Amonn, and Wasserman (2014, chapter 3) on Spann. See also the various entries in Hagemann and Krohn (1999). The right to teach (venia legendi) was awarded to a Privatdozent after the successful conclusion of the habilitation procedure. As a rule it was a prerequisite for the appointment to a professor’s chair, yet the Privatdozent did not become a member of the regular (paid) staff. On the various Vienna circles see e.g. Dekker (2016), Wright (2016), Müller (2015a), Jabloner (1998), or Stadler (1991). Interview with W. W. Bartley III, Nov 4, 1983, 5, transcripts in the possession of the author (Copyright the Estate of F. A. Hayek). See Mises (2013, chapter 9), Mises (1984, appendix 1), Hülsmann (2007, passim), Browne (1981) and Haberler (1981). See letter, Haberler to Morgenstern, Nov 12, 1925, Oskar Morgenstern Papers (= OMP), box 2, folder “1925–1926 H–K”, David M. Rubenstein Rare Book & Manuscript Library, Duke University, NC, U.S.
For a provisional list of the papers presented in the interwar years see Klausinger (2016a, appendix). Letter, Hayek to Machlup, April 17, 1938, Fritz Machlup Papers, box 43, folder 15, Hoover Institution Archives, Stanford University, CA, U.S.
On the “dynamic adaptation” of the University of Vienna to the NS regime see also Müller (1997). It has been pointed out to me by a referee that in other contexts “provincialization” need not convey a pejorative meaning, yet here it is definitely meant in this way. For the dismal situation outside the University of Vienna see e.g., Ibler (1985), Lichtmannegger (1999), Klausinger (2015b), and Ebner (1997).